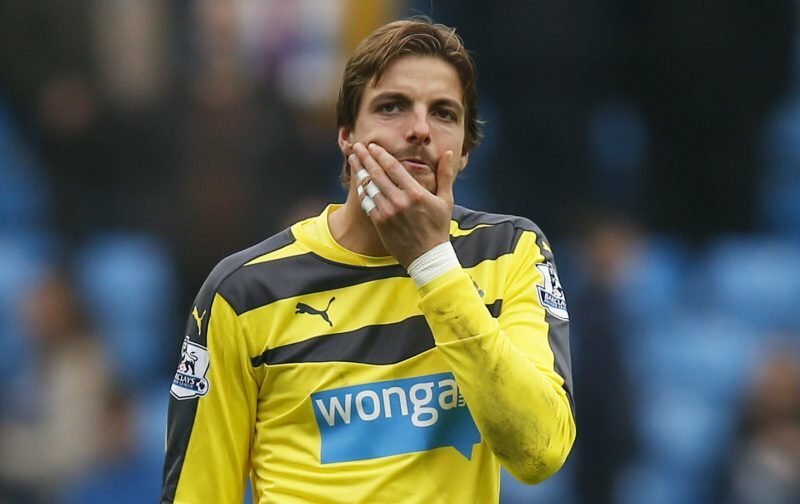 Premier League-bound Newcastle United may consider selling goalkeeper Tim Krul amid interest from Belgian giants Anderlecht, according to The Sunday Mirror (via The Chronicle). The Dutch international spent the entirety of last season on loan in his homeland with first Ajax and then AZ Alkmaar, earning 22 appearances in all competitions for the two clubs, in which time he conceded 43 goals and kept just five clean sheets. The 29-year-old moved to the North East back in 2005 as a youth player before earning his senior debut in November 2006, and then going on to make a further 184 appearances for the Magpies until his most recent appearance back in 2015. However, it doesn’t appear that he’ll be adding to that tally again as reports suggest that Anderlecht are targeting a summer move for Krul, who has fallen behind the likes of Rob Elliot, Karl Darlow, and Matz Sels in the goalkeeping pecking order at St James’ Park. Belgian giants Anderlecht stormed to a 34th league title last term by easing to the Belgian First Division crown, finishing seven points clear of Club Brugge following the play-off campaign, and that victory means they’ll be participating in the group stages of the Champions League next term as well. A move of that magnitude may be of interest to the 29-year-old, and with Magpies boss Rafa Benitez reportedly willing to sell the £3.4 million-rated ace (as per Transfermarkt) this summer, as well as seeing the likes of Vurnon Anita and Sammy Ameobi leave the club at the end of the month, his summer overhaul looks set to continue over the coming weeks.